Have you ever used a camera on a tripod? 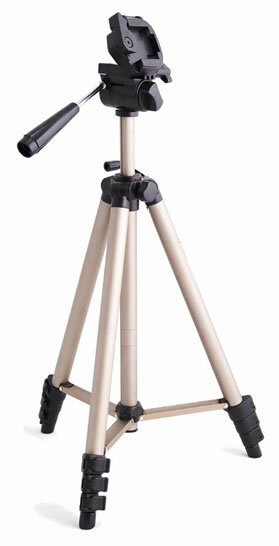 If so, you know that if the tripod were to be missing any of its three legs, it would become unstable and topple over. Binary options trading is no different. There are three essential components to the binary options tripod of success, and if you are missing any one of these three, your trading account will topple along with your confidence. Cultivating these three things will allow you to trade competitively and profitably. All three should be included in any serious trading plan. Now I am going to discuss each of these three components in detail so you understand its significance and how it can lead to profitability. I will also describe why skipping any of these important elements can lead to ruin. These parts are obviously of greater importance to you if you are a serious trader, but even a trader who is in the binary options market for entertainment can benefit from all three. What is a trading method? It is a set of entry and exit rules governing the trades you will place. Sometimes trading methods are called trading systems. Some people do not like the word “system” since it seems to imply that things are set in stone. Your trading method may well be mechanical in the sense that you follow your rules exactly and never deviate. But it also could be discretionary, meaning you allow your personal intuition and judgment to occasionally (or regularly) modify your decisions. But at its core, your trading method or system has rules, and you respect those rules. One of the most challenging issues for new binary options traders is getting started with a trading method. “Where do I even get a system?” is one of the most frequently asked questions you will hear among newbie traders. I wrote an entire article on that topic which you can read here. There are lots of ways you can acquire a great trading system. Getting started is the hardest part. Dive in, though, and do a lot of testing, and you should find something you like and understand eventually. (Think you are over-testing? Find out by clicking here)You can also consider using a signal service, which relies on someone else’s system. Usually this is not the best choice for new traders, because it builds dependency. But a signal service can be helpful, especially if you use it to spot opportunities in conjunction with your own trading rules, instead of relying on it 100%. You may have the greatest trading method on the planet, but if you do not know how to properly manage your money, you can blow it overnight (or within minutes, if you trade short expiry times!). Money management is about investing a consistent, responsible amount of money on each of your trades, and also about placing a responsible amount of money in your account to begin with. It also involves accountability, if you have a family that relies on you to pay the bills. How much money are you planning to invest on each of your binary options trades? Ten percent? 20%? 50%? These are all pretty common answers. Or you might say, “Well, on the trades I am super confident about, I will invest a lot more than the trades I am not so sure of.” Both of these answers are the responses of traders who will soon be out of money and no longer participating in the binary options markets. If new traders are going to underestimate the importance of any one of the three essential ingredients to trading success, it is probably going to be trading psychology. Since it is less technical than trading methodology or money management, it may not sound as “exciting” to learn about. Plus, a lot of us are a bit anxious when it comes to the concept of learning about ourselves, because all of us have our failings. But you cannot become a great binary options trader unless you are willing to face your personal strengths and weaknesses. Self-honesty allows you to make positive choices which can help you to build your strengths and reduce your weaknesses. One of the best ways to do this is to use a trading journal to chart your progress in binary options trading. A trading journal can help you to identify the reasons you are winning and losing trades, how your emotions are impacting your trading, and whether you are making progress or regress. You can identify patterns more easily when they are in writing and when you can see them accumulate across a longer time period. Use these tips for making money trading binary options. There are some traits that are adverse to good trading, and some you should work on cultivating. Traits you want to avoid include pride, despair, impulsiveness, wild mood swings, hopelessness, and irrationality. Traits that are good to instil in a binary options trader include discipline, patience, responsibility, honesty, reflection, concentration, and rationality. You also need to learn how to balance and integrate trading with the rest of your life so that you are spending enough time trading, but also plenty of time doing other things.